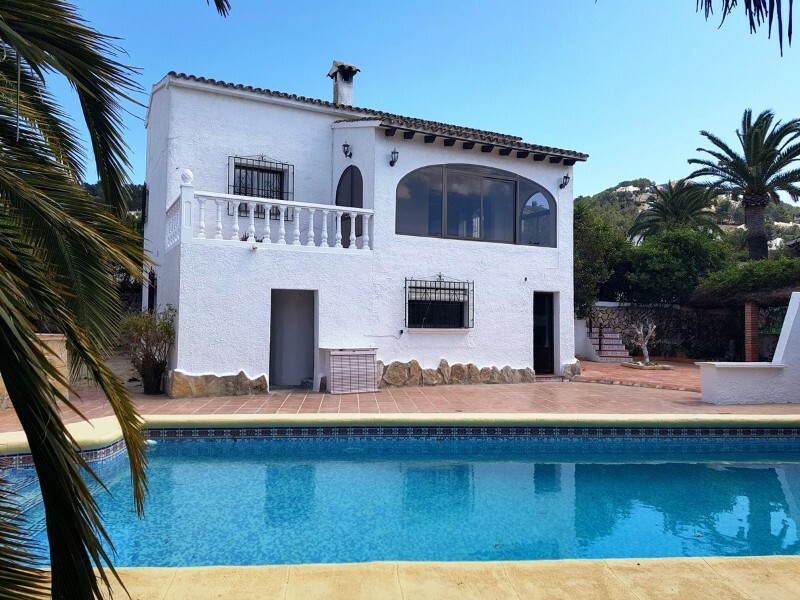 Charming villa, built with the most respect towards the mediterranean traditional architecture, located in the residential area of "Fanadix" in Moraira and stands out for its generous spaces and its immediate proximity to the centre of Moraira, the yachtclu and the beach. Various supermarkets, bars and restaurants are just a pleasant walk. The top floor of this charming property features of a large bright living room, a fully equipped kitchen, three spacious bedrooms with fitted wardrobes and two bathrooms. 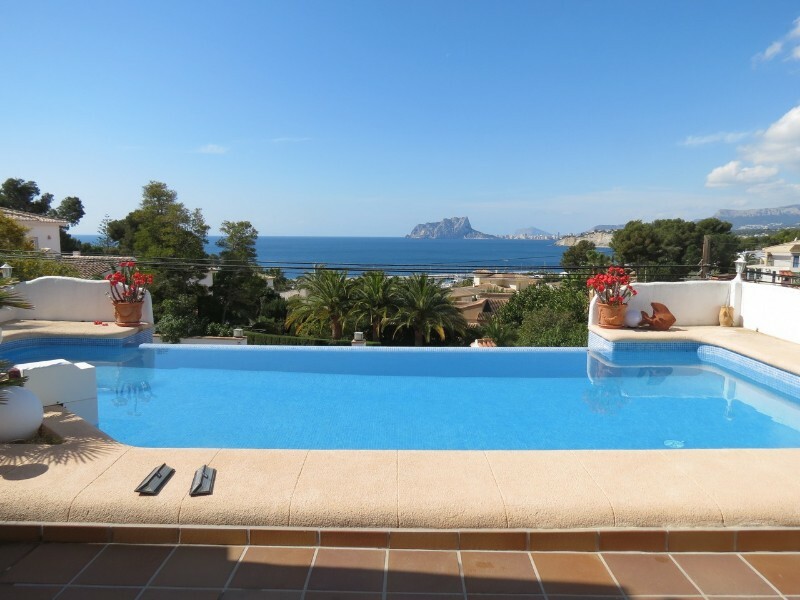 On the same level there is a direct access to the spacious terraces and pool. On the ground floor, accessible via outside staircase, there are two large bedrooms and a bathroom. The generous size of the plot ensures full use of the terraces, outdoorkitchen with bbq, lounge area and the charming Mediterranean garden.